September signifies the end of summer and the start of a new school year for students throughout the county. As students head back to school, we are reminded of the importance of acquiring knowledge and the impact it can have on people’s lives and our community. Learning allows us to broaden our perspectives and deepen our understanding of our world. Agua Hedionda Lagoon Foundation works to inspire people through education and outreach to preserve the Agua Hedionda Lagoon as an accessible and healthy watershed. We are committed to partnering with local schools and universities, collaborating with Boy Scouts & Girls Scouts, and operating our Discover Camp to create interactive experiences that promote environmental stewardship. 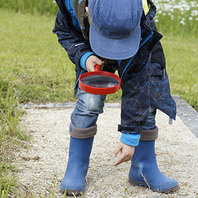 Whether knowledge is attained through school or through outdoor education, discovering innovative ways to help learners connect the dots is beneficial for all. It facilitates informed decision-making and a greater awareness of the environment that provides lifelong value. We invite you to learn, explore and discover the flora, fauna and history of the Agua Hedionda Lagoon and join us in reading this month’s Live Well San Diego Newsletter, which highlights organizations throughout the county who are helping residents engage in programs and activities that promote Knowledge & Discovery. Please join us in welcoming keynote speaker, advocate, actor, best-selling author, and U.S. Army veteran J.R. Martinez at the 2018 Live Well Advance! Join hundreds of Live Well San Diego Recognized Partners and other community leaders as Mr. Martinez shares his message of resilience and optimism after personal tragedy. When: Tuesday, October 2nd from 9:00 a.m. – 4:45 p.m.